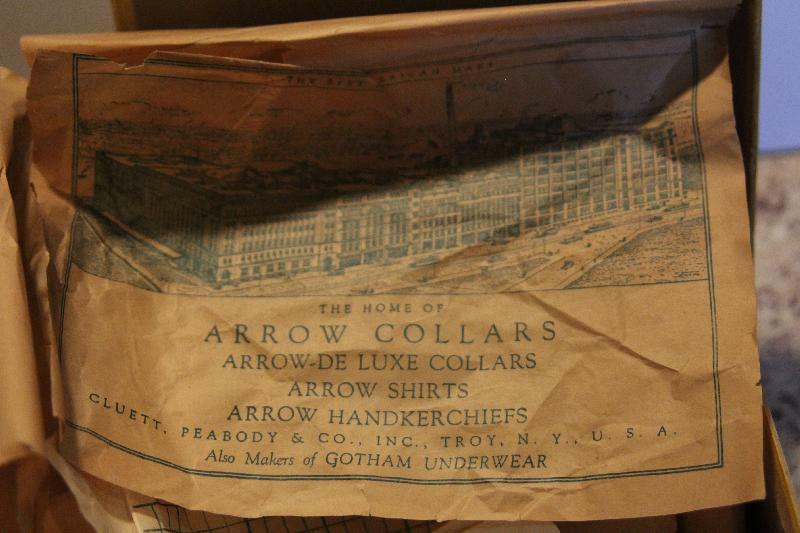 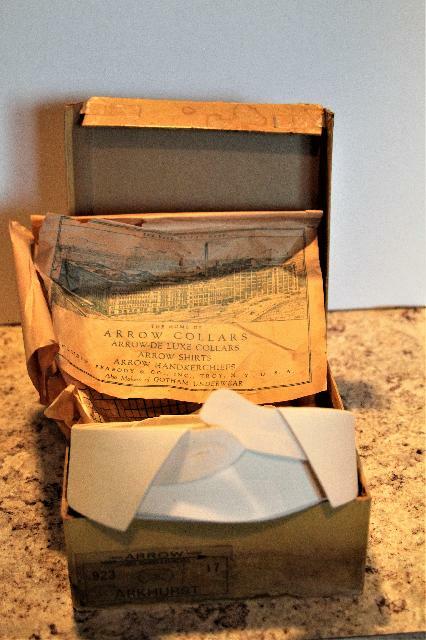 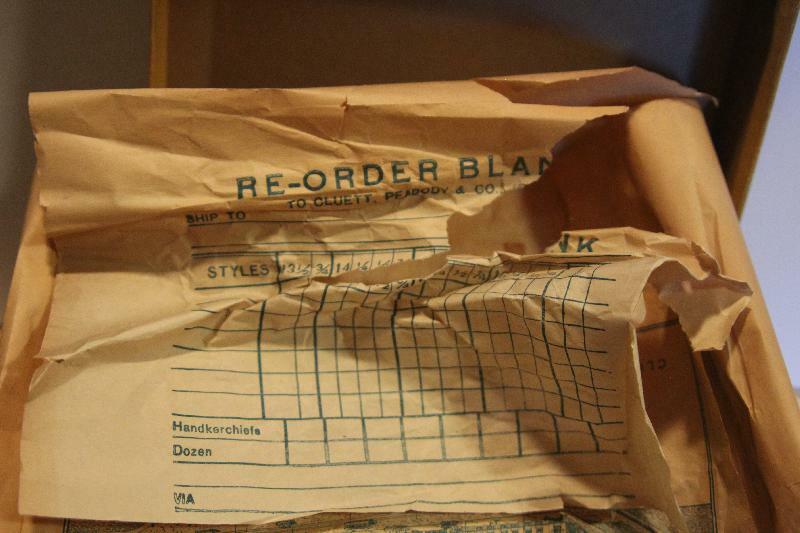 This is an old original box of Arrow brand collars that includes 4 collars, the original wrapping paper describing the company and a part to reorder more collars. 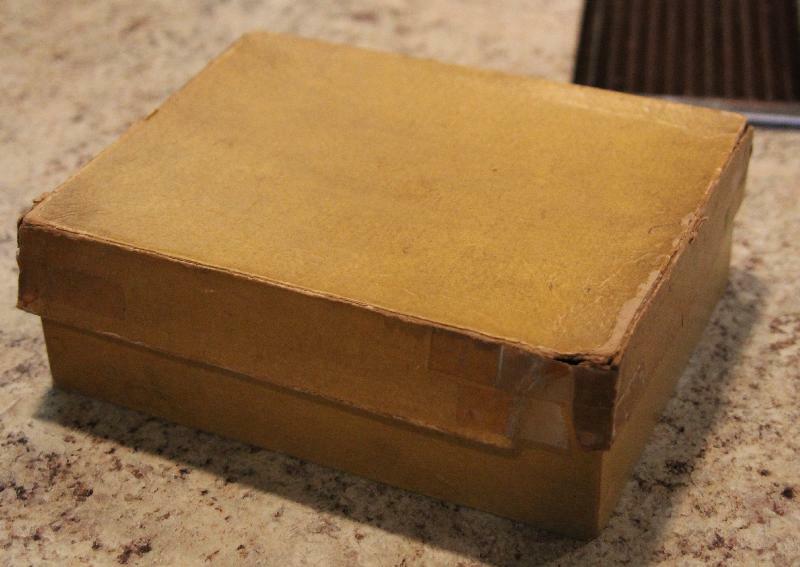 The box has wear on the corners and the wrapping paper as noted has a large tear. 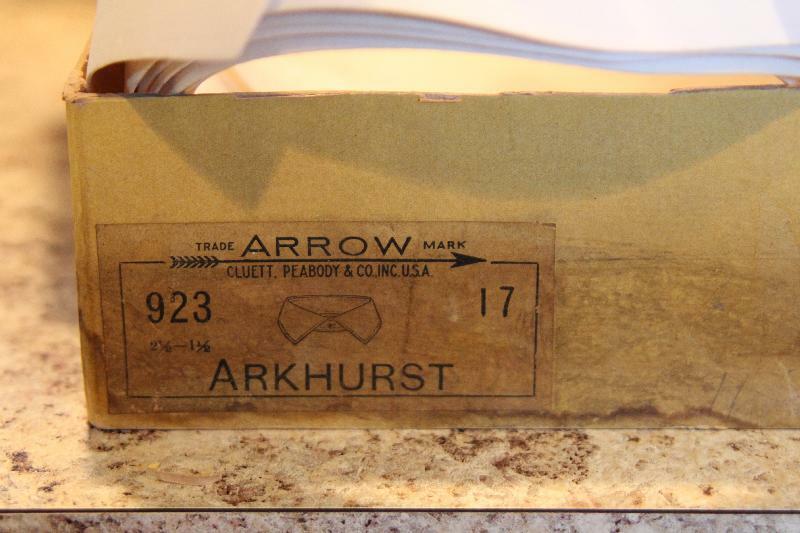 Measures 8W x 7D x 3H.